Cooking is much more than just a way to prepare food for sustenance. It’s one of the world’s greatest pleasures…or is that eating? While it’s true that eating incredible food is the goal of spending your time in the kitchen, cooking doesn’t have to be such a drag. With RiFRA’s top of the line kitchens, cooking will be become as pleasurable as eating. Keep reading to learn why! 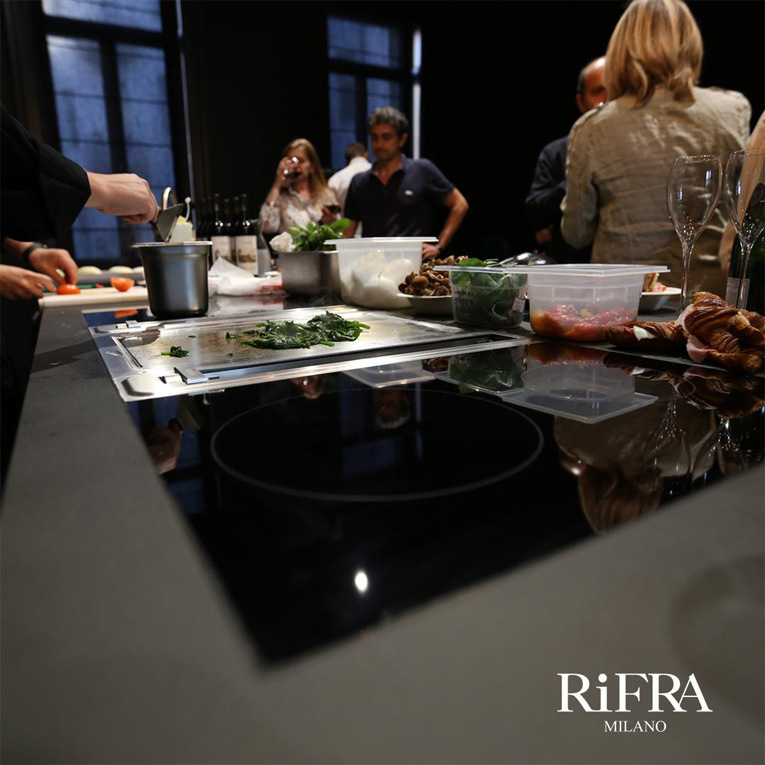 The Bora cooking system is integrated into Rifra’s ONE kitchen. 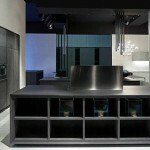 It has various cooking zones and the aspiration system is integrated into the countertop. This aspiration system means you don’t need to use a traditional suspended hood aspiration system. The great advantage of this system is that it allows you to cook in complete freedom, because the fumes do not travel upwards, but sideways. Is there anything worse than having your clothes smell like what you’re cooking? Not only does it avoid your clothes from smelling, it also keeps your hair clean! The principle of the operation is based on a very simple physics principle that comes into play thanks to the 600 cubic meter per hour prevalence motors. This produces a forced reverse current with a speed of 4 meters per second that is capable of collecting the fumes from the stove at their point of origin. This creates a completely odor-free cooking experience, making it much friendlier and pleasant. The Bora cooking system also comes equipped with a teppanyaki plate. This grill allows you to cook in a very healthy way. Why? Because there is no need to add fat, whether butter or oil to cook the food. The plate can reach temperatures up to 240 ºC (464ºF), but the food will cook in a completely uniform and optimal way, all the way through. Another way to prepare our food is with an oven; RiFRA works with the top brands and can offer you advice on which ones might work best for you. Specifically, the WOLF oven comes in two varieties, the fan oven and the steam oven. The fan oven is unique in its realm because it has the capability of maintaining the temperature inside the oven at a uniform temperature. This characteristics means that everything you cook will be cooked to perfection! 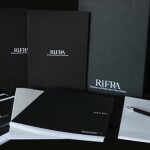 The RiFRA kitchen is made to transform the way you prepare food. 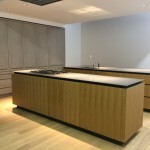 Everything is meticulously thought out to improve the cooking experience and take it to a whole new level. Subscribe our YouTube Channel to learn more!